Picturing Disney: Epcot is love. I made my husband pose for this last year and I think it says it all. 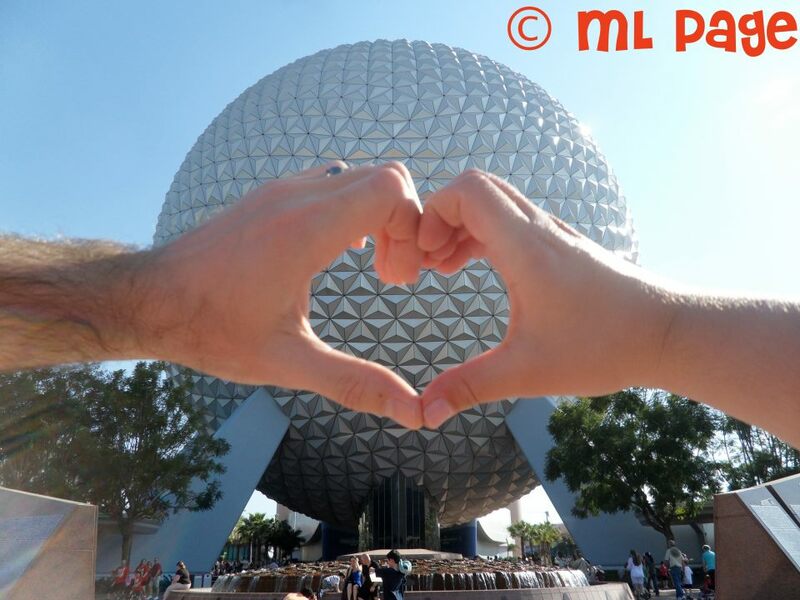 Epcot is love and no amount of hand hearts could properly complete this little photo tour. PHOTO TIP: Take advantage of the forced perspective. This was inspired by watching people leaning on, holding up, eatings, and kicking Spaceship Earth!